Popular actor Sumeet Vyas after having a successful stint on the web with successful shows like Permanent Roommates and Tripling is all set for his next release High Jack releasing next month. This would be Sumeet’s second film as a lead actor post Ribbon with Kalki Koechlin where his performance was critically appreciated. High Jack would be India’s first trippy stoner comedy as claimed by the makers of the film. The film also stars Sonalli Sehgall, Kumud Mishra, Mantra amongst others in a pivotal role. Its been directed Akarsh Khurana Sumeet’s co-writer from Tripling. 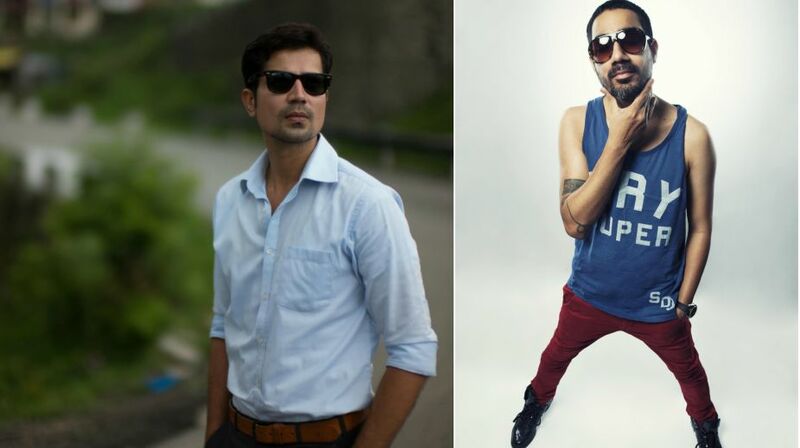 Sumeet, as reported, is playing the character of a DJ who has some madcap scenes in the film. This would be the first time he will be playing such a character onscreen. To prep for his role as a DJ Sumeet took anecdotes from one of India’s finest DJ and music composer Nucleya who also composed 3 songs in the film. Nucleya, as we all know, has his own speciality into EDM and Dubstep which was completely alien to Sumeet took some serious music lessons from Nucleya about the genre. He took basic lessons on how a DJ performs during a concert or in the club under high pressure from the audience. He learnt the swag of a DJ from Nucleya in terms of spinning, style, lingos used in the music world and some technicalities of music systems. Sumeet doesn’t want to look fake while performing scenes and wanted to give his best shot hence no one was better than Nucleya who coincidentally was part of the team. When asked Sumeet about a lesson from Nucleya he said, “I keenly observed how he worked on the console, I didn’t want to overdo or go crazy shifting the knobs, Nucleya had specific gestures and hand movements, as his music reaches its crescendo. I’ve tried my best to get that mannerism. He was sweet enough to share his anecdotes on how he prepares his set for a show, when to push the tempo and when to surprise the audience and keep them engaged through the show. To be very honest he’s a master at his craft and I’m just creating an illusion of being a pro at this. I hope I don’t disappoint him.